Facebook Instagram Twitter YouTube Houzz Colorado Springs: 719-591-1114 Greeley: 970-284-6306 What's your project? 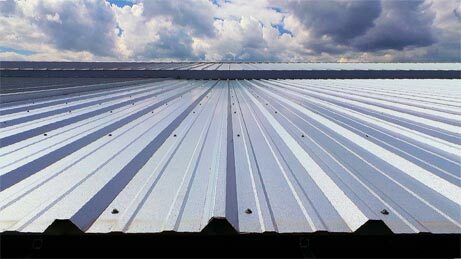 This is a sturdy, commercial grade product that can free-span between purlins up to 5 feet, making it a standard workhorse for many metal buildings and commercial facilities. PBR orders are produced within just one to two days and can be picked up at either one of our locations at your convenience. *Certain colors may be subject to an order minimum and longer lead time. Please contact your Flatiron Steel representative to learn more. Hours: Monday – Friday 7:00 a.m. to 4:00 p.m.
Flatiron Steel website contains information about several products and colors that may or may not be available. In addition, our metal samples are available by request only.